TERIYAKI MADNESS IS A FAST-CASUAL ASIAN RESTAURANT SERVING EXCEPTIONAL TERIYAKI CUISINE IN A FUN AND RELAXED ATMOSPHERE. Unique Alternative: Provide a cooler, healthier, and more fulfilling alternative to the usual fast food experience of burgers, subs, and pizzas. High Demand: By combining real quality ingredients and our signature sauces with our exclusive grilling methods, you are able to satisfy growing demands for more flavorful food made fresh to order. Fast Growing: The Asian food segment is poised for massive growth as consumers are fascinated with Asian cuisine. You are also able to take advantage of the growing trend for healthier eating. Affordable: The total investment is half the cost of the average Fast Casual Restaurant, providing you with the opportunity to open multiple locations, faster. 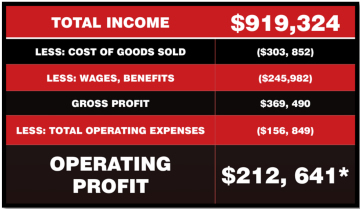 Proven Success: Interested in a concept with a phenomenal ROI? 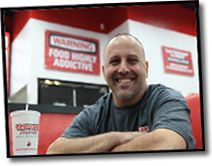 "I've opened two successful locations and working on opening on my third store soon. Year after year I've been able to grow significantly in a tough economy, which is a testament to how great this concept is. It really has unlimited potential. I love the Madness and so do my customers!" As two brothers and a cousin growing up in the Seattle area, where Asian restaurants are on nearly every corner, the T-Mad Co-Founders were raised on diverse Asian flavors and, in particular, Teriyaki. Going "ALL IN" they headed for Vegas in 2003, where they started their own Teriyaki-style concept like their favorites from home, focused more on a hip and comfortable environment rather than the traditional Asian formal dining experience. With its wide variety of visitors and residents from all over the country, Las Vegas was the perfect test market. 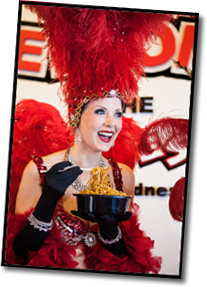 T-Mad quickly grew to become a Vegas favorite, and is now exploding into new markets across the country. 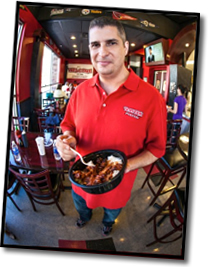 "I evaluated quite a few restaurant opportunities before purchasing a Teriyaki Madness franchise. I chose the concept because they use fresh ingredients, a simple to implement process, have a solid franchise growth strategy and provides a great revenue opportunity. The franchise gives you all the tools to start you on the path to success." Click on Request Information for FREE info on how to open a Teriyaki Madness franchise today! Please Note: This Teriyaki Madness franchise opportunity and other franchise business opportunities, businesses and franchises for sale on this web site are not to be considered as an "offering", "franchise offering", suggestion or recommendation by Franchise Leader™. This advertisement depends entirely on the truthfulness of the information provided by our advertisers which includes, but is not limited to, franchisers, franchise brokers, franchise consultants and business brokers. Franchise Leader™ recommends that you consult a lawyer, financial consultant, accountant or professional advisor before buying a franchise or business opportunity or any type of business. By using this form or any part of our website, you have agreed to all terms and conditions of Franchise Leader™. Please review our Terms & Conditions for more information.